What Kind of Oil Should You be Using in Your Jaguar? When investing in a luxury vehicle like a Jaguar, you want to keep it performing at its peak for as long as possible. Part of keeping your Jaguar running smoothly is keeping it properly maintained with the correct fluids, including using the right oil. Follow our guide to make sure you are maintaining your Jaguar correctly so you can enjoy it for years to come, then find out how to protect your Jaguar from salt damage in the winter! The best place to find out what kind of oil your Jaguar needs it to start with your owner’s manual. It should tell you how often oil needs to be changed and let you know the temperature your vehicle operates in and what to look for in your oil. Premium Conventional Oil: While called, “premium” this is what you would consider standard motor oil. You’ll find it available in several viscosities, and it’s perfect for light-duty vehicles such as sedans, hatchbacks, crossovers, and some SUVs. Full Synthetic Oil: Designed with high-tech engines in mind, you’ll often find full synthetic oils used in luxury and performance-focused models. They last longer and offer superior protection against deposits, but they’re also expensive and not always necessary. Synthetic Blend Oil: Mixing synthetic oil with organic oil creates blends that are less volatile and can increase fuel economy. They’re often popular for pickups and large SUVs. High Mileage Oil: Modern vehicles last longer than older ones. If your odometer has hit six figures, you might want to consider using oil formulated for higher-mileage vehicles. The API label will tell you if the product meets current SL service ratings (C for diesel engines). The SAE viscosity number. Viscosity refers to an oil’s flow rate. For some vehicles, you need a more viscous motor oil, so refer to your owner’s manual. 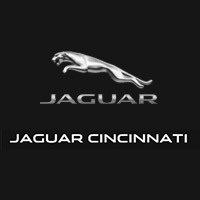 If you would like to consult a technician about the best type of oil for your Jaguar or have your oil changed professionally, visit us at Jaguar Cincinnati. If your Jaguar is enrolled in Jaguar EliteCare your vehicle qualifies for complimentary scheduled maintenance for the first five years! 0 comment(s) so far on What Kind of Oil Should You be Using in Your Jaguar?